Greenland Express Air is a new airline that expects to launch scheduled passenger operations in March or April. This airline is a merged between Eyjaflug, Air Arctic and Greenland Express has merged and continue with the name Greenland Express Air. 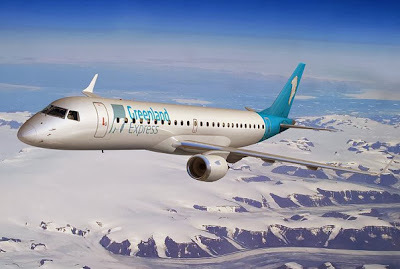 Greenland Express Air will operate an Embraer 190. First flights to Denmark, then the rest of the world.